When it comes to the legendary fashion designers of today, Vera Wang is surely one of the most stellar names which command applause and accolades from several quarters. She is especially popular for her bridal wears, with a huge fan following from Hollywood. The award-winning designer is the most prominent bridal wear designer in the whole of America. Vera Ellen Wang was born on 27th June, 1949 in NY City to Chinese parents who shifted to the US in 1940s. She had her graduation from The Chaplin School & then went to University of Paris & Sarah Lawrence College. 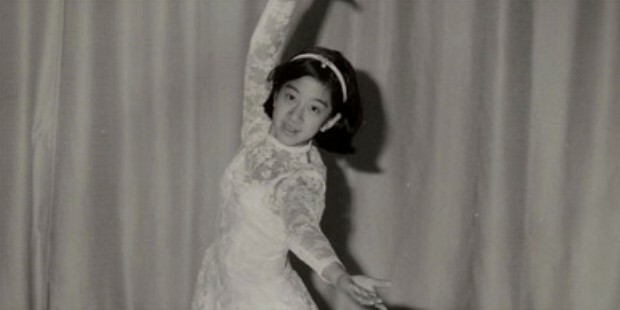 Wang aspired to be skater since childhood & took to figure skating since 8. Wang took part in different skating competitions but after a futile attempt to foray into US Olympics squad, she forayed into the fashion scene. In 1970, she joined Vogue as senior fashion editor. 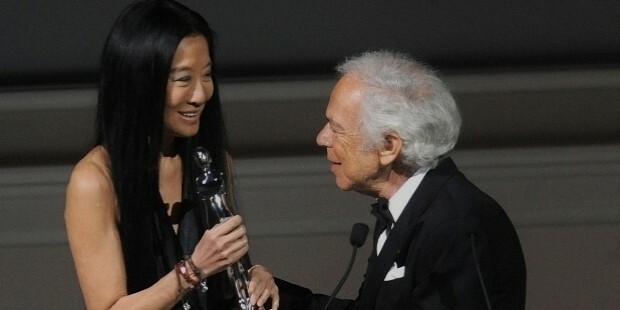 After a 15-year stint in Vogue, Wang joined as the design director for Ralph Lauren. She stayed with the esteemed house for couple of years.In 1990, Wang launched her own designer bridal boutique in upscale Madison Avenue, NY City. The boutique initially catered to mostly socialites & celebrities with couture gowns made by esteemed designers such as Christian Dior, Carolina Herrera, Arnold Scaasi & Guy Laroche. She started honing her fashion skills meanwhile & finally launched her signature series of sophisticated & streamlined bridal wear. The great designer receive her first international fame in 1994 Olympics by designing her famous hand-beaded ensemble meant for skater & silver medalist N. Kerrigan. Wang’s line of designer clothing now also includes lingerie as well as jewelry & home décor products. She has launched Simply Vera ready-to-wear affordable clothing line lately. Wang’s other launches are “White by Vera Wang” & “The Vera Wang China and Crystal Collection”. She has got 2 stores in Sydney & Korea- "Vera Wang Bride Sydney" & 'Vera Wang Bridal Korea'. The most important highlight of Wang’s career is surely her rise to international fame by designing for 1994 Olympic skater Kerrigan. 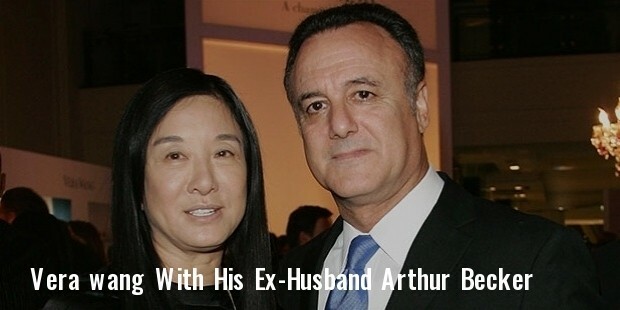 She was married to Arthur Becker but the couple got divorced in 2012. They have 2 adopted daughters. One of the most followed names when it comes to bridal fashion & red carpet events, Vera Wang is a top favorite of female celebs. Till date, her evening & bridal apparels are offered at more than 55 posh retailers, including Neiman Marcus & Saks Fifth Avenue. 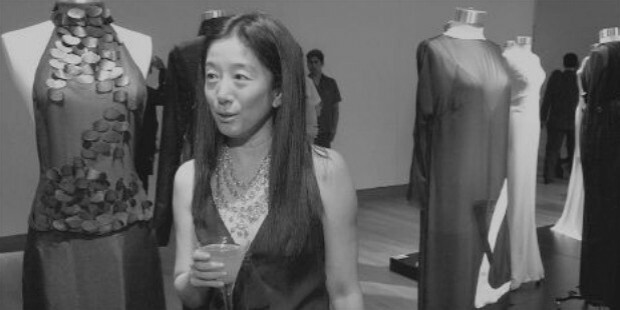 In 1994, Wang was selected as one of the members of the esteemed CFDA (Council of Fashion Designers of America). 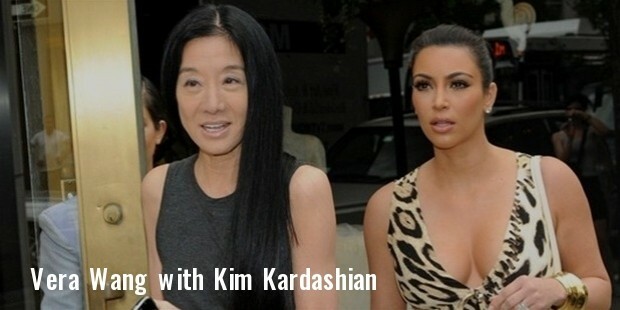 She has authored Vera Wang on Weddings which was launched in 2001.